A rainy night . . . A stranded motorist . . . A Good Samaritan passerby … a Nobel Prize–winning professor . . . The setup for a shocking murder designed to cover up an even more sinister crime . . . 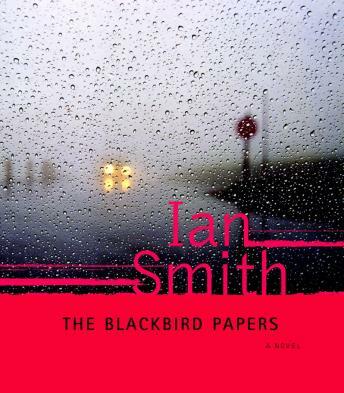 The Blackbird Papers marks the debut of Ian Smith, a major new talent in crime fiction, and of Sterling Bledsoe, his smart and occasionally combative sleuth. World-renowned Dartmouth professor Wilson Bledsoe is returning from a party celebrating his latest honor when he encounters a broken-down pickup on the secluded country road to his home. The next day, the discovery of his body with a vicious racist epithet carved into his chest leads to the quick arrest of two loathsome white supremacists. The local authorities seem ready to accept the case at face value as a racial hate crime. But the murdered professor’s brother, FBI agent Sterling Bledsoe, has inserted himself into the investigation and isn’t ready to buy into this pat solution. A look around his brother’s lab and brief interviews with his students and colleagues pique Sterling’s curiosity about Wilson’s pet project: a nearly completed paper on the mysterious deaths of hundreds of local blackbirds. Fast-paced and cleverly constructed, The Blackbird Papers introduces a major new talent in mystery and crime fiction.